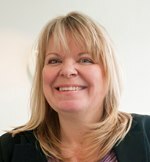 Cathy Holt is a Senior Lecturer within the Institute for Cardiovascular Sciences, University of Manchester. Prior to this position, she was Lecturer in Cardiac Sciences at the University of Sheffield. Her post-doctoral training was undertaken in the laboratory of Gianni Angelini, also at the University of Sheffield and prior to this she was awarded her PhD on the involvement of the vasculature in the pathogenesis of autoimmune diseases. A past council member of the British Society for Cardiovascular Research, she currently serves on the British Atherosclerosis Society Committee and has been involved in organizing several joint meetings of BSCR and BAS. Cathy is on the Editorial Board of the journal "Clinical Science" and has co-organised several national and international meetings. Cathy?s current research programme includes investigations of vascular function during atherogenesis and the development and use of a large (pig) animal model of myocardial infarction to investigate the remodeling process and the therapeutic application of stem cells. In addition to her research, Cathy plays an active role in the Manchester Medical School and was recently awarded a Senior Fellowship from the National Higher Education Academy for her contribution to teaching and management.